Grits, a quintessentially Southern staple, made from stone-ground corn and typically served at breakfast, can become the backbone for so many dishes. 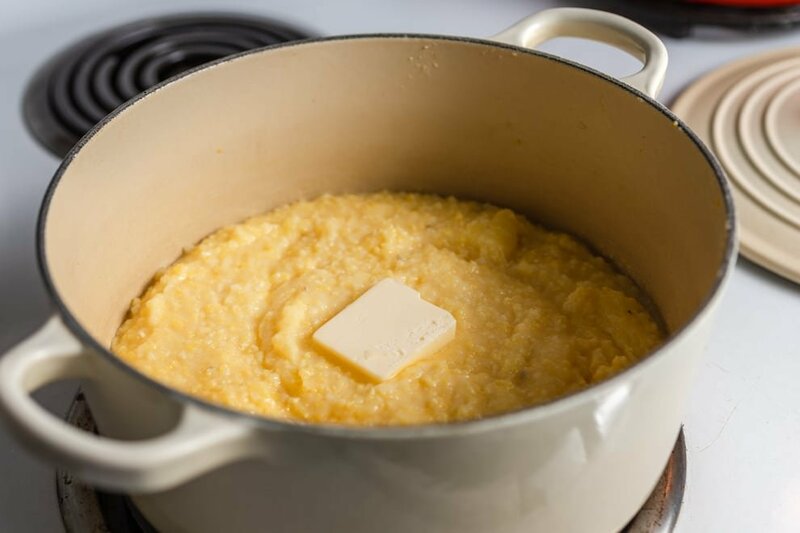 Here is a basic recipe with tips and tricks for making a perfect pot of grits. From there let your imagination run wild. Whether you choose to serve grits for breakfast – like they do in the South – or as a side dish or stir in some cheese and serve them with shrimp, here are some tips and tricks for a perfect pot of grits. Cornmeal and polenta and grits, oh my. Stone-ground, fine-grind, medium-grind, coarse-grind, hominy, yellow, white. It is enough to make your head spin. Let’s take a closer look at these ingredients to see if I can help to eliminate some of the confusion. 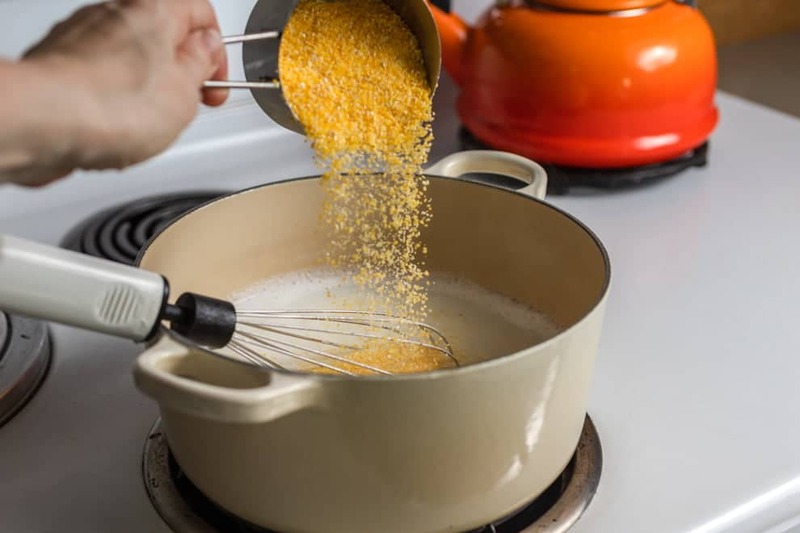 Cornmeal – Cornmeal is typically made from a variety called Dent corn because of the indentation on the kernel. Cornmeal is degerminated, meaning that the germ and outer hull are removed. This helps to make it more shelf-stable. It’s typically ground by machine using steel grinding wheels. You can find cornmeal in fine, medium or coarse grinds. The fine and medium grinds are most often used in baking because they produce a lighter baked good. The coarse grinds are used in more rustic preparations like polenta – more on this later. 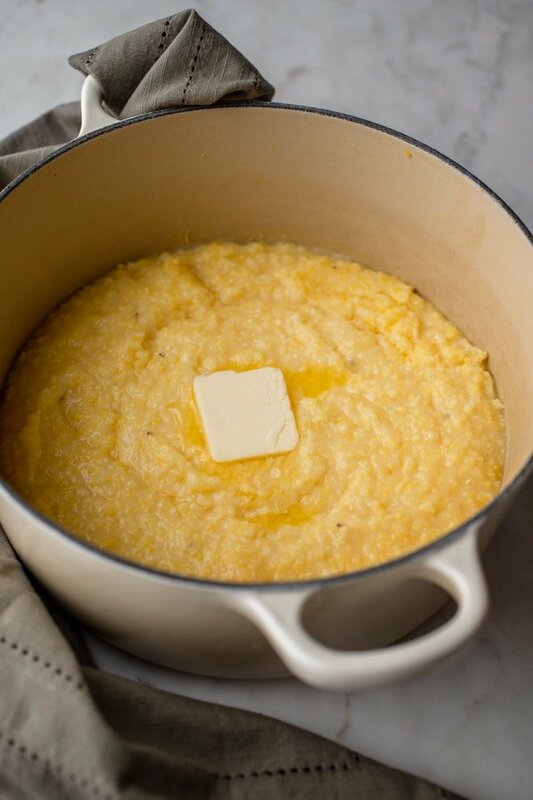 Grits – are also made from Dent corn, either white or yellow, and in the case of Southern grits, made from hominy a whole-kernel corn that has had the germ and hull removed by a chemical process. Grits are typically a coarse grind and can be stone-ground which many say creates a superior flavor and texture to the machine ground version. Cornmeal is dried, ground corn in varying grinds. It is most often machine ground and degerminated without the use of chemicals. Grits is dried, ground yellow or white corn. It is typically a coarse grind and may be made with hominy and can be stone-ground. Polenta is an Italian dish made from coarse ground cornmeal. Leave the quick cooking and instant varieties on the shelf, please. 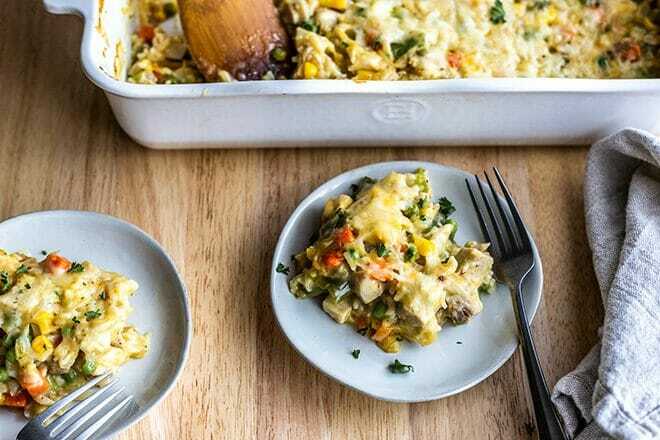 We will be using yellow stone-ground grits for this recipe. 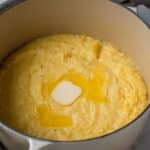 However, if you don’t have stone-ground grits readily available, you can substitute coarse-ground yellow cornmeal. Grits can be made with plain water, but I really love to add a bit of whole milk to the water for the richness that it adds. If you prefer not to use the milk, just replace it with water or broth. Add the salt during the cooking process. This ensures that your grits will be properly seasoned. Add the grits slowly to the boiling water stirring constantly. This will prevent clumping and make silky, smooth grits. Bring the grits back to a boil, then reduce to low and cover the pot. 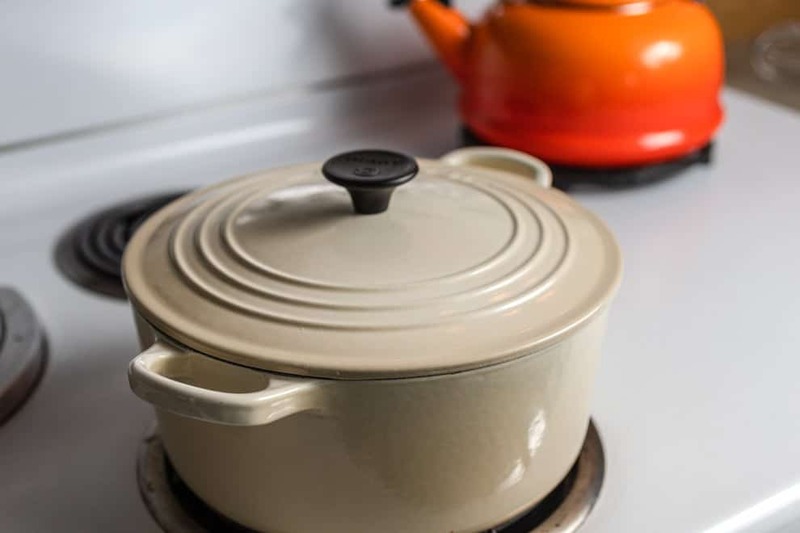 This will reduce the cooking time by half. Step 1. 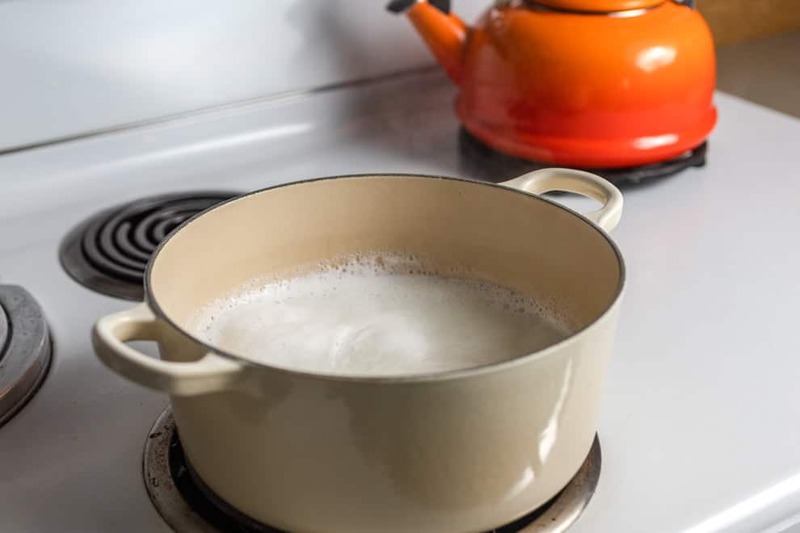 Bring the water, milk, and salt to a boil. Step 2. 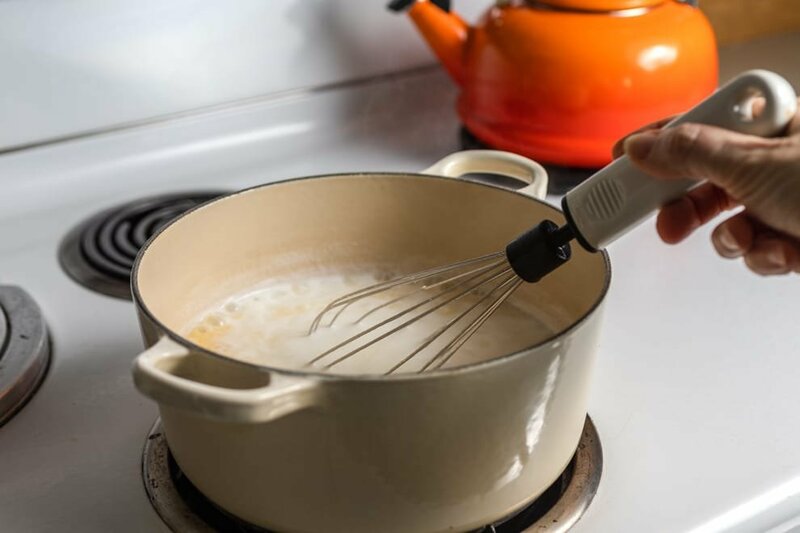 Gradually add the grits to the boiling liquid whisking constantly. This will reduce clumping and create silky grits. Step 3. Continue whisking for 30 seconds. Step 4. Bring the grits back to a boil, cover and reduce the heat to low. 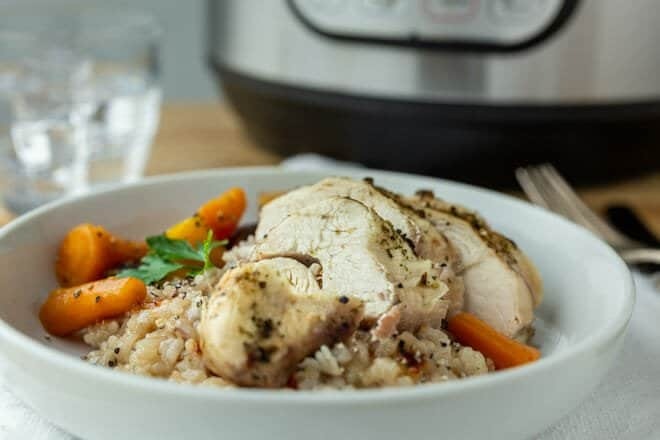 Cook for 20 – 25 minutes. Step 5. Remove cover, stir in butter and serve immediately. Stir in the butter and salt and serve immediately. Stone-ground grits have a nutty, rich flavor and create a dish with more texture. 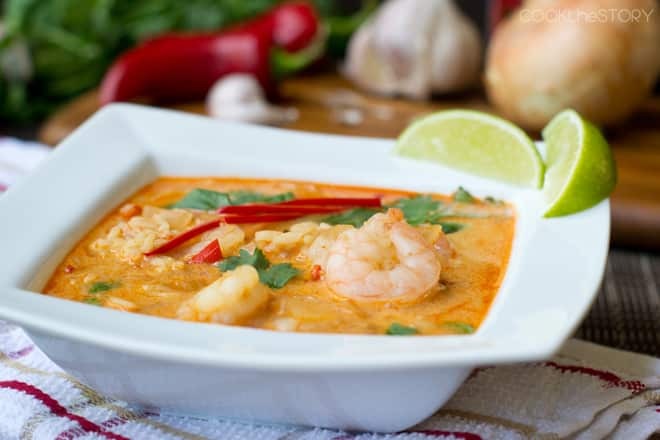 Adding the grits slowly while whisking will create a silk, smooth dish. Salt your cooking liquid before you add the grits. The grits will absorb the flavor better during cooking. 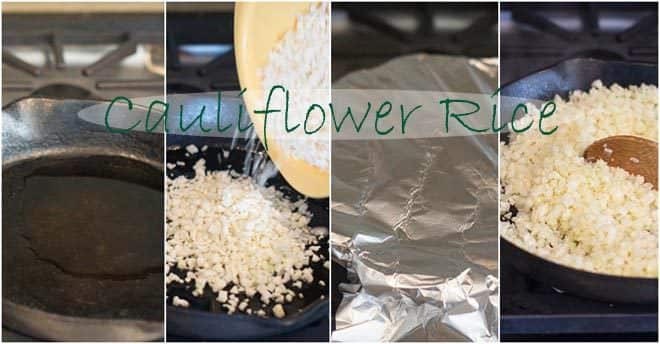 Covering your grits will reduce the cooking time by half.